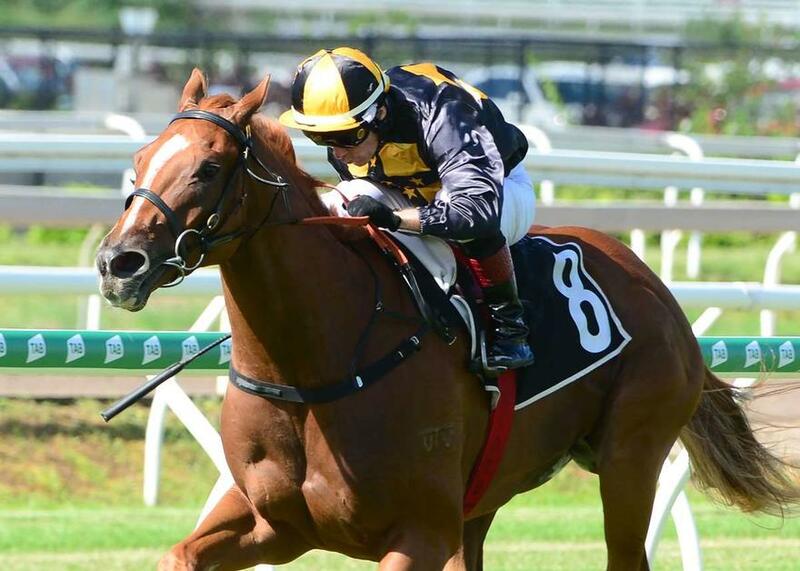 Talented three-year-old RACECOURSE ROAD made it back-to-back victories with a bold front running display at Eagle Farm today. Stepping up to the 1400m for the first time proved no issue as the Show A Heart gelding took his record to two wins and a second from three starts this preparation with an all-the-way victory by 2.25 lengths for leading jockey Jeff Lloyd. The result marked RACECOURSE ROAD'S third career victory from just nine starts. "It was a run to behold the way he cruised along at a high tempo and then kicked again," said Trainer Chris Munce. "It was a terrific effort and I couldn't have been more proud of the way he sustained his gallop right through the line. "It's great to see him racing the way that he is and this time around he's really showing us the ability that I've known he has always had."